The WORLD TRADE CENTER Saskatoon at Prairieland Park has become the primary choice for large memorials and celebration of life ceremonies. Our caring and attentive staff are able to work with the families, or the funeral director, to ensure every detail is exactly as requested. Our compassionate staff will be able to confirm availability quickly and create a fitting and beautiful presentation. 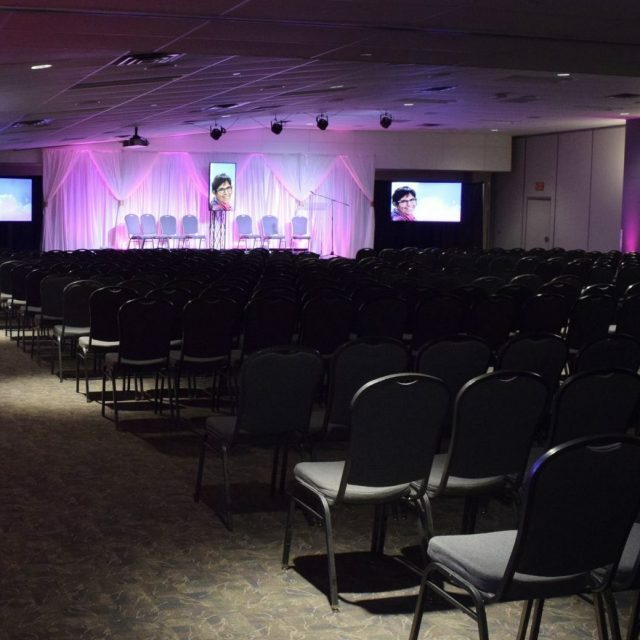 WTC Saskatoon at Prairieland Park is also one of the few venues that can accommodate large groups with theatre style seating for the memorial and offer close access to reception space immediately following the celebration of life ceremony. With ample free parking, close proximity to downtown, in-house production services, simple and straightforward menu options, and compassionate staff – Prairieland Park is the easy choice for families and funeral directors. Our dedicated event specialist from the Rentals Department would be happy to discuss all the details of your specific event needs. Contact them today at rentals@prairielandpark.com or 306.931.7149 for availability, services and pricing.